Last week, US data showed a surprise drawdown of 1.6 million barrels in US crude inventories, with net imports dropping to a record low and exports surging. Stocks at the important Cushing, OK hub declined even further, defying market predictions that oil inventories were set to rise. With US crude exports hitting 2 mmb/d, American net crude imports fell below 5 mmb/d, the lowest level since the EIA began recording data in 2001. Strong demand from US refineries supported the drawdown. Various OPEC ministers voiced positive statements on the effectiveness of the supply freeze. Saudi Energy Minister Khalid al-Falih said the ‘market is rebalancing' and ‘inventories should continue to decline' over the year. Al-Falih said Saudi Arabia's exports have been averaging less than 7 mmb/d over January-March, with output well below its production cap. He also said OPEC and its allies were hoping to create a permanent framework to stabilise oil markets after the current agreement ends. Algerian Energy Minister Mustapha Guitouni stated OPEC was looking to preserve ‘market stability' to balance producers and consumers, suggesting that it could intervene again if prices fall dramatically. 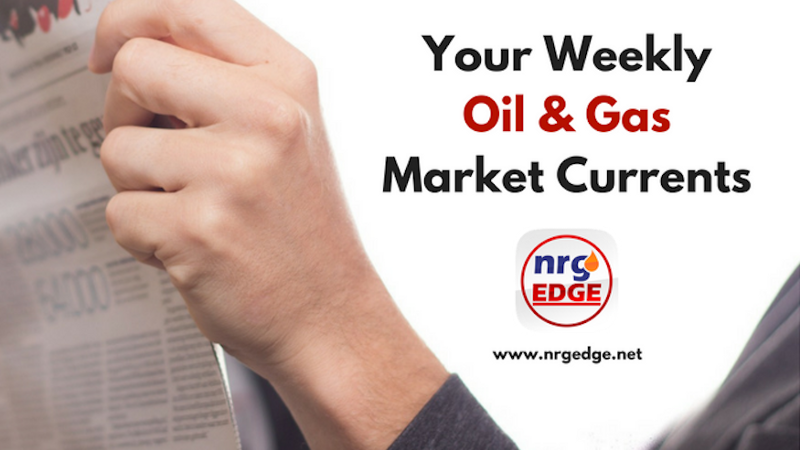 American crude inventories are expected to reverse last week's surprise decline, with data pointing to a million barrel gain, that capped gains in crude prices earlier this week. The US active oil and gas rig count gained 3 sites last week. It was a fifth consecutive week of gains for oil rigs, inching up by 1 to 790, just shy of the 800 mark. Crude price outlook: Lingering concerns over the swell of US crude output should trim crude prices back to US$65-66/b range for Brent and US$62-63/b for WTI. BHP Billiton and ExxonMobil, 50:50 partners in the Gippsland Basin Joint Venture, have dropped plans to sell their 13 fields, licences and associated infrastructure in some of Australia's largest and oldest onshore oilfields. Abu Dhabi has chosen Spain's Cepsa to develop its offshore oil shores in a push to diversify partnerships; the Madrid-based player will take a 20% stake in the Umm Lulu and Sateh Al Razboot Persian Gulf fields. India also gained a foothold in Abu Dhabi, with an ONGC-led consortium securing a 10% stake in the Lower Zakum concession for US$600 million. Aker BP announced a moderate discovery in the North Sea's Alvheim, with the Frosk well yielding ‘encouraging' flows of 30-60 mmboe. With turmoil in Iraq's Kurdistan region dying down, Chevron has resumed drilling operations in the area, starting the Sarta 3 field. South Korea's SK Innovation has made an oil discovery in the PRMB 17/03 Block in China's section of the South China Sea; SK Innovation has an 80% stake in the block, with CNOOC holding the remainder. India's ONGC has turn to international service firms for the first time, shortlisting Halliburton, Schlumberger and Baker Highs to assist in boosting production at its onshore Gujarat and Assam oil fields. As Egypt prepares to offer ten new onshore blocks for exploration, Kuwait Energy announced it had struck oil in the South Kheir-1X well, with small flows of some 2,000 b/d of crude oil. Turkey's first new oil refinery in 30 years, SOCAR's US$6 billion 300 kb/d Star refinery, is scheduled to start up in the third quarter of 2018. Amid US sanctions and Venezuela's financial woes, PDVSA's American arm Citgo Petroleum has slowed plans to upgrade its 235 kb/d refinery in Aruba. The Dutch territory has raised the issue with the US government. Total, Borealis and NOVA Chemicals have formed a US Gulf Coast 50:50 petrochemicals joint venture, integrating the Bayport and Port Arthur facilities of Total and Novealis (a Borealis-NOVA joint venture). ExxonMobil has acquired a 2.5% stake in the crucial Baku-Tblisi–Ceyhan (BTC) pipeline in Azerbaijan from Itochu's subsidiary CIECO. ExxonMobil has halted operations at PNG LNG as a 7.5 magnitude earthquake struck the highlands Papua New Guinea; Oil Search also halted its drilling activities in the wake of the quake. Petronas has inked its first LNG contract with India, agreeing to supply an undisclosed amount of LNG to Dubai-based H-Energy Mideast DMCC. Spain's Repsol will be selling its ‘non-strategic' 20% stake in Gas Natural to CVC Capital Partners for €3.82 billion euros. Thailand has pushed the new auctions for the Erawan and Bongkot gas fields back by a month to April, with a decision expected by end-2018. Extending a partnership that began with the Subsea Integration Alliance in 2015, Schlumberger and Subsea 7 have announced plans to form a 50:50 joint venture, which would boost their FEED capabilities.